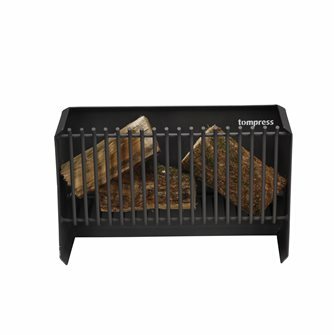 Material for outdoor cooking over a wood fire or camp fire. 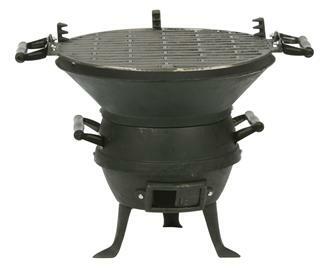 Cast iron brazier barbecue, 36 cm tall. 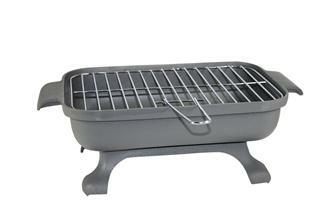 The grill can be adjusted to 3 levels. Wooden devil stick. Traditional manufacture. 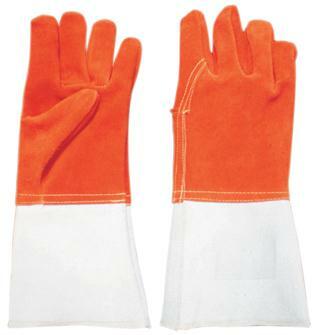 For blowing on embers safely without burning yourself or sending ashes flying. 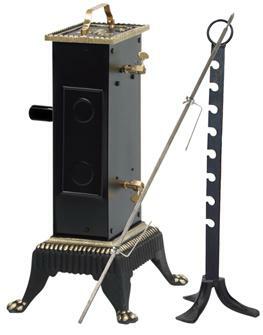 Mechanical spit, 12 kg maximum load, 15 minutes of autonomous life, turns 2 skewers of 100 cm. 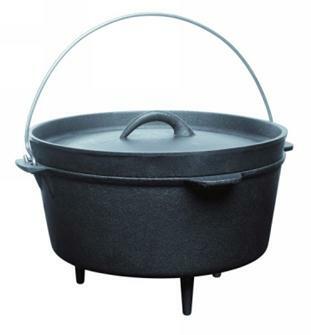 Cauldron / pot in cast iron - 8 litres - with lid. Cauldron / pot in cast iron - 10 litres - with lid. Cauldron / pot in cast iron - 12 litres - with lid. Cauldron / pot in cast iron - 17 litres - with lid. Cauldron / pot in cast iron - 30 litres - with lid. 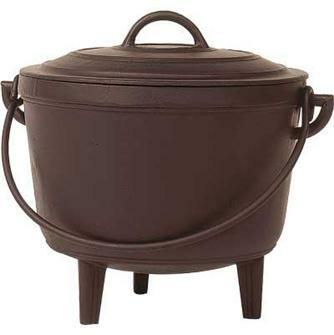 Cauldron / pot in cast iron - 40 litres - with lid. 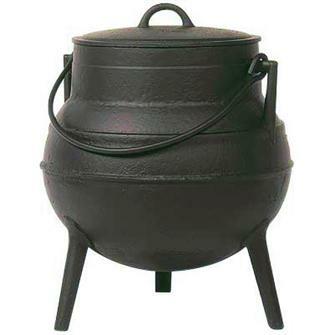 Cauldron / pot in cast iron - 60 litres - with lid. Cast iron casserole dish - 3 litres - with lid and handle. 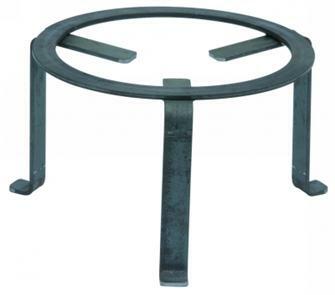 Garden brazier in lacquered metal 40 cm in diameter, height 62 cm. 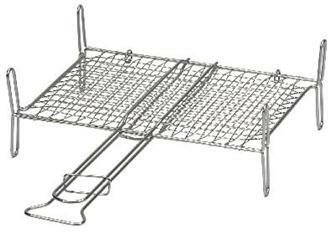 Stainless steel skewers 300x3 mm. Set of 6. Stainless steel skewers 350x3 mm. Set of 6. 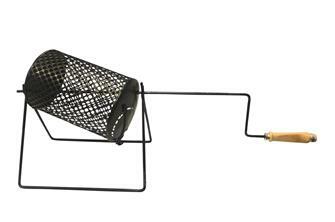 Rotating basket for roasting chestnuts with a stand and a crank. 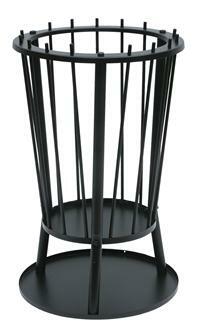 Lovely cast iron table barbecue with 4 legs, 32x22 cm grill. Comes with a supporting shelf and oven glove.